With not only built in Ethernet capabilities, but built in wireless technology as well, the HP DeskJet 6980 is at the top of its class among inkjet color printers with networking capabilities. It offers PictBridge compatibility as well as other convenient, luxury features such as Bluetooth printing and high resolution settings. The HP DeskJet 6980 offers borderless printing on all supported paper sizes, meaning photo quality images are not limited to standard 4 x 6 sizes, but can be blow up to full letter size as well. With a maximum quality setting of 4800 x 1200 dots per inch, even enlarged images will reproduce at lab quality. While the HP DeskJet 6980 does offer a standard Ethernet port, it also includes an 802.11g wireless card, making wireless networking not only possible, but easy to set up as well thanks to HP’s auto detect software. PictBridge technology also allows users without networking capabilities to operate the printer, even as a stand alone unit with no PC connectivity at all thanks to PictBridge compatible digital cameras, though a high speed USB port is available for single computer connectivity if required. The HP DeskJet 6980 is optimized for not only plain letter and legal sized paper, but photo paper, labels, and envelopes as well, all insertable through a 150 sheet fixed input tray along with an additional small media feeder for photographs and index cards. Dedicated controls and displays, such as a Print Cancel button and an ink level indicator, also help to keep things moving along at an optimal pace. With a 5,000 page per month maximum monthly duty cycle, the HP DeskJet 6980 appears to be ill fit for relentless, corporate level use, yet a home office or personal user should have no problem with the device’s total performance limitations. HP’s limited warranty will help extend the life of the investment with not only web and telephone based technical support, but a replacement policy as well. 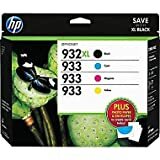 While a four ink setup (black, cyan, magenta, and yellow) comes standard with the HP DeskJet 6980, an optional six ink photo quality cartridge is available for greater color accuracy and overall image quality. 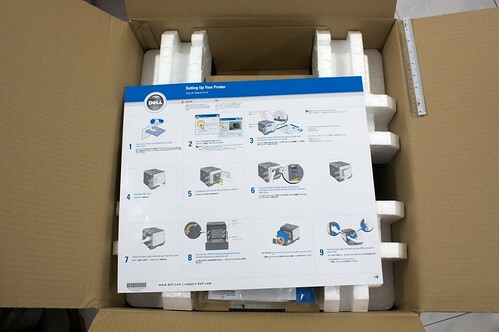 Other options include an automatic duplexor available for purchase separately which allows for double sided printing, and an optional second bin for additional output storage. A built in automatic paper type sensor makes switching from media types easier than ever and eliminates additional programming steps for special paper types such as transparencies. Print speeds top out at a maximum of up to 36 pages per minute for black and white and 27 pages per minute for mixed text and color graphics. Fast draft mode offers the greatest print speed, but when operating at normal or best quality mode, speeds suffer greatly, clocking down to as low as 2.1 pages per minute for both black and white and color, and an optimized 4 x 6 photograph at highest quality will take an incredibly long 105 seconds to complete, securing the HP DeskJet 6980 as a very high quality printer, but not the fastest on the market. 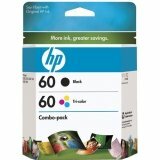 Get consistent print quality throughout the life of your cartridge with HP smart technologies. Print professional color documents for less than lasers, using HP Officejet inks. Original HP inks are specially formulated to produce fast-drying documents, especially when you use papers with the ColorLok logo. Want more pages, great reliability, and amazing value? You want original HP inks. Color laser printing used to be a service that you would have to pay for at a service bureau to get good quality. Now this something you can very much do right in the comforts of your own home with a wireless color laser printer. These kinds of printers have amazing quality and sharpness that look just like the prints that you get from professional stores. There are two reasons why you should opt to buy these kinds of printers, and they are all right there in the name of the printer itself. First of all, wireless printers are now all the rage when it comes to personal printers, especially because the numbers of people whose main computers in the home are laptops are rising. 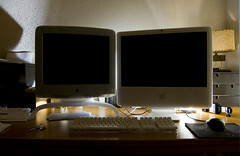 While the number of people who make use of desktop computers in the home is still a lot more than the former, there is no denying that the laptop is now a very common item that can be seen in most homes. 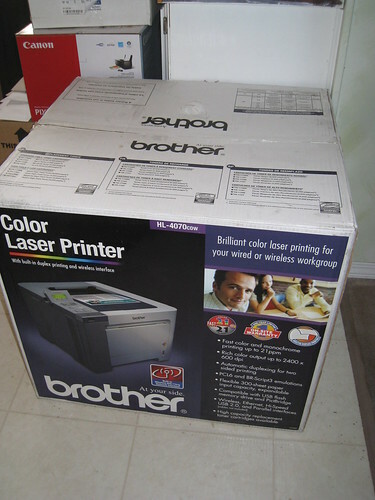 A wireless color laser printer does not need wires or any other connecting paraphernalia other than plain Bluetooth. So if you have more than one computer or laptop in your home but only have one printer, then the wireless version is definitely the kind that is right for you. Aside from the advantages of a wireless printer, there are also a lot of advantages of buying laser printers over all other kinds of printers. Not only are laser printers so much faster than all other kinds of personal printers, but also they are higher in quality when it comes to sharpness of image. While a single word document might take as long as a minute in some other printers, it will take less than five seconds in a wireless color laser printer. Never again do you have to wait until you space out in front of the printer before the hard copy comes out, because with a laser printer, you never have to wait or be hassled ever again. 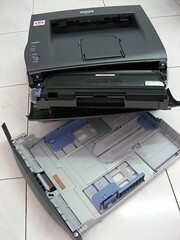 If you are the type of person that has the printer running all the time, then you will also appreciate the fact that laser printers emit a noise that is so soft; you will hardly even think that it is a whisper. Unlike the older kinds of printers that make such a huge racket, your wireless color laser printer will be so quiet that you will forget that it is there. So putting together the separate advantages of having a wireless printer as well as a laser printer, you can surely see that putting them together was just a stroke of genius. Never again will printing something have to be a hassle for you. If you are a photographer, this kind of printer will definitely be a godsend, because you will not longer have to pay such a fortune just to be able to print out your photos. Are you currently writing a book? Print out your manuscript as much as you want, it wont take up that much of your time anymore! Having a wireless color laser printer is just another testament to mans ingenuity. Find the best wireless color laser printer now at http://www.laserprintersnow.com which reviews and lists wireless color laser printers. Samsung Electronics released next generation color and all-in-one laser printer C413W Series, seamlessly supporting mobile printing as well as high quality printout on the 17th. Samsung Electronics’ C413W Series is the latest innovative product offering a perfect solution to the growing demands for the mobile printing on the back of rapid expansion of mobile offices and smartphones. It comes with new mobile printing solution including NFC (Near Field Communication), cloud printing, and others for the first time in the laser printer segment of the industry. ??? ?, ???? ??? ?? ???? ?? ??? ???•??? ?? ????? 17? ??? ??? ???? ??? ??? ???? ???? ??? ?? ??? ???/??? ‘C413W ???’? ????. ???? ‘C413W ???’? ??? ??? ?? ??? NFC(Near Field Communication), ???? ??? ? ?? ??? ??? ???? ???? ?? ???? ???? ??? ??? ??? ?? ??? ??? ??? ???? ????? ??? ?? ????. 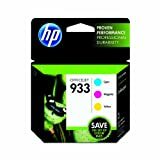 HP 932xL/933 Ink cartridges in high-yield black and standard cyan/magenta/yellow colors provide outstanding print quality for your important documents and presentations. 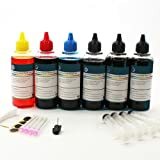 Cartridges with media value kit offer high reliability and performance. CD947FN Features: -Supply Type: Inkjet Cartridge.-OEM/Compatible: OEM.-Global Product Type: Inks & Toners-Inkjet Cartridge.-Post-Consumer Recycled Content Percent : 25 pct.-Page-Yield : 165.-Coverage Percent : 5.00 pct.-Device Types: Inkjet Printer.-Remanufactured: No. Color/Finish: -Color(s): Tri-Color. This kit may refill your cartridge many times over and over again. A printer is an external device used in computing to generate text or graphical documents on physical print media such as paper or transparencies. 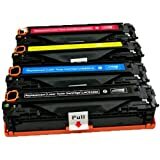 Initially most of the outputs were only in black; yet gradually color printers have emerged and are used in great numbers nowadays. Most printers are used locally as external devices usually connected to a computer using a printer or USB cable. Yet in present day the concept of using color wireless printers has been rising steadily. A color wireless printer is a normal printer that is capable of printing in color as well as in monochrome. The difference of a wireless color printer is the fact that it eliminates the need for tiresome cabling or wiring to connect it to the computer. This isquite useful if the color wireless printer is connected to a network that is used by a number of people; in an office for example. This enables the color printer to be kept in a centralized location that could be accessed easily by everyone in the office which would reduce the usual traffic seen about the office printer. In order to have a color wireless printer incorporated into a computer or an office network, one must have a WLAN or wireless local area network installed. A strong encryption is needed when connecting a wireless color printer onto a WLAN. This is due to the fact that unless the color wireless printer supports Wi-Fi protected access (WPA) or WPA2 encryption, the printer can be a weak security barrier and might compromise the security of the entire network. 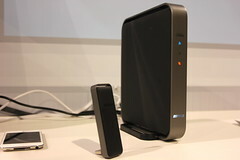 The router is the key piece of hardware that connects all the other hardware components including the wireless color printer into the network. The setting up of the wireless color printer depends on the specific router manufacturer. Wireless networks are differentiated by the various standards that they adhere to. The main standard is the IEEE 802.11 and there are many different variants of this primary standard. One should be very aware of the wireless standard before purchasing a printer. The standards of the color wireless printer and the wireless standard of one’s network should be mutually compatible otherwise they would not be able to connect the printer onto the network. A color wireless printer will be a great addition to the crowded and busy workplace. The ease of connectivity and usage will make office activities run smoother and efficiently than before. The purchaser will have to be mindful about the compatibility issue before purchasing one; once you get that sorted out and the installation finished, a color wireless printer will be the one piece of equipment that you can never miss to have around the office.